It seems that some people would go to any lengths to ensure they continue to receive the very generous social security benefits offered in Australia to young families. We have often heard the argument that many illegal immigrants are not fleeing against tyranny, but running towards a welfare system that is second to none in their eyes. Our welfare system seems to be leaving a long-lasting impression not only on illegal immigrants, but on those with Australian citizenship who have chosen to live abroad. In this case, we have a married couple who have chosen to live in Lebanon, but have frequented Australia for the birth of each of their children, solely it is claimed by the wife for the purpose of claiming a raft of family-based welfare payments. Two first cousins in an arranged­ marriage are being investigated for immigration and Centrelink fraud and rorting the baby bonus by returning to Australia from Lebanon for the births of some of their seven children. 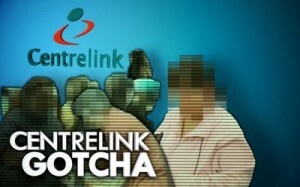 The woman, 33, told the Federal Circuit Court sitting in Parramatta her husband also had her return several times to Australia solely to update Centrelink­ details so she could continue to get social security. The family was receiving Family Tax benefits that in the last financial year totalled $25,265.74, despite three of their children having lived in Lebanon since 2009, Judge Joe Harman said. “On at least two occasions (the mother) returned to Australia for a brief period purely to allow the child then carried by (her) to be born in Australia and to then receive the baby bonus then operating,” the judge said. The case was before the court because the Australian-born mother is applying for the return of her three eldest children, aged 12, 10 and nine, from Lebanon and custody of all seven children. The others are aged seven, five, three and two. The eldest live with their father’s brother and paternal grandmother in a mountain village. The now-estranged couple wed in Lebanon in 2001 two weeks after meeting in an ­arranged marriage. They ­returned to Australia and lived for a time with their relatives — the woman’s sister is married to the man’s brother. The husband, 39, was ­granted citizenship in 2006 in circumstances which Judge Harman said troubled him since the couple had ­decided to live in Lebanon. “It is concerning (the man’s) evidence is his citizenship was granted in 2006 at the very time when, consistent with his evidence, he had formed the desire and intention to live permanently in Lebanon and to return to Australia … solely for the purpose of earning a greater income than was available to him in Lebanon, and returning the funds to Lebanon,” the judge said. He said he would refer the case to the Immigration and Human Services departments for investigation. The woman, who alleged her husband was violent ­toward her, was met at the airport by the Australian Federal Police when the pair returned to Australia in March. The judge refused the father permission to leave Australia and put him on the Airport Watch List until he has facilitated the return to Australia of the eldest children. The hearing resumes at the end of this month. In response to this case, some people have argued that our welfare system is an easy touch for scammers, even if they live far from Australia. This is a shocking demonstration of how low the bar is set for policing of our welfare system. It is fair to worry about the extent of welfare fraud when cases like this occur.